If people do not enter into a marriage contract, they are married with community of property. This means that the spouses share all property and bear all liabilities together, whether or not these were acquired or incurred during or before the marriage. 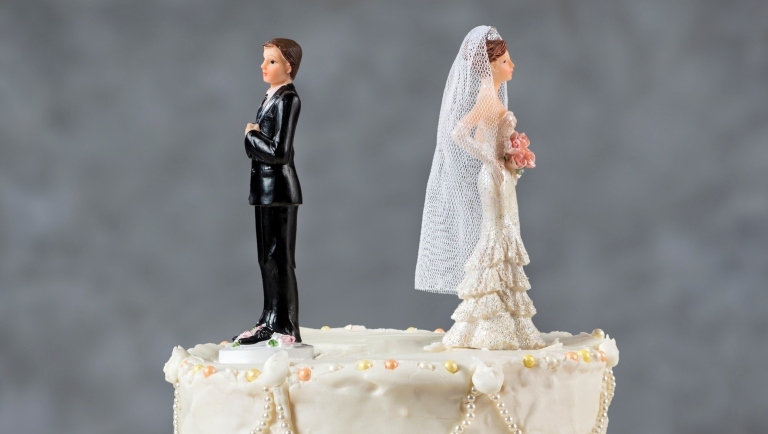 On a divorce, the entire community of property should be divided in half. This not only means that the assets acquired during the marriage form part of the community of property, but also that the assets and liabilities from before the marriage are included in the division. There is an exception for what are termed “ring-fenced property and liabilities”, which are not included in the community of property. An example of this might be a payment for general damages. We can provide you with further information about this. It can also happen that certain inheritances or gifts are not included in the community of property. For instance, a testator may specify in his will that the inheritance he wants to leave will not be included in any community of property. A donor can also impose a similar specification when making a gift. This is known as an “exclusion clause”. A donor can also impose a similar specification when making a gift. On 28 March 2017, the Upper House voted through the private member’s bill proposed by members of the Lower House from the VVD, D66 and PvdA limiting statutory community of property. The law is expected to come into effect on 1 July 2017 or 1 January 2018. The new legislation is based on a limited community of property. Property and liabilities owned or incurred by the spouses before marriage are no longer included in the community of property, unless they were already held in common when the community of property was established, such as a joint home. Inheritances and gifts are no longer included in the community of property either, unless the testator/donor has incorporated an inclusion clause. If a spouse makes efforts using his knowledge, skills and labour for assets which are not included in the community of property, the result of these efforts should benefit the community of property. In that case, a right to reimbursement exists in favour of the matrimonial property. The scope depends on the particular circumstances. This means that if one of the spouses already has a private limited company before the marriage, that company’s shares are not included in the community of property. However the community of property should be reimbursed for the gain following the marriage due to the work of the company. The rationale behind this is that the spouses should share the fruits of labour during the marriage. We foresee substantial problems with the implementation of this provision. Once it comes into effect, the bill will only apply to matrimonial communities of property established afterwards. We recommend that future spouses obtain detailed advice on the legal consequences of the bill. If you are involved in a forthcoming divorce, needless to say, we will discuss with you whether the division that you want is feasible and whether there might be any tax pitfalls or loopholes. If, for instance, one of the spouses wants to take over the former matrimonial home, it makes sense to have a valuation carried out and to check up on whether the bank will cooperate in this allocation of the house to one of the spouses. If the community of property includes a business, a tax specialist and/or a business valuer is generally appointed to perform a valuation. We work closely with a number of knowledgeable financial specialists, whom we can consult on your behalf, including if matters end up in court. As soon as they marry, spouses become married to each other with community of property. This means that the spouses share all property and bear all liabilities together, whether or not these were acquired or incurred during or before the marriage. On a divorce, the entire community of property should be divided in half. This not only means that the assets acquired during the marriage form part of the community of property, but also the assets and liabilities from before the marriage are included in the division.